Barry practices in various areas of civil law with emphasis in litigation, insurance and personal injury law. He earned his B.A. from Columbia College of Columbia University and his J.D. from Columbia University Law School. Barry is a member of the American and New Hampshire Associations for Justice and the Defense Research Institute. 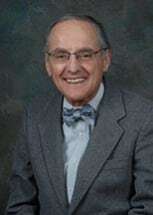 He is past chair of the NH Bar's Committee on Cooperation with other Professions, and is presently a member of the Continuing Legal Education Committee, the Dispute Resolution Committee and the NH Supreme Court's Minimum Continuing Education Board, as well as the Hearings Committee of the Attorney Discipline System. Barry has chaired and served as a panelist for numerous CLEs over the years.